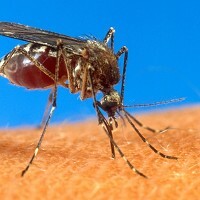 An outbreak of West Nile Virus in Serbia has underlined the importance of medical insurance for travellers. More than 20 Serbian people have been hospitalised and identified as victims of the mosquito-borne virus over the past two months, a Serb medical official has said, and tests are in progress in 20 more suspected cases. Olga Dulovic, deputy director of Serbia's clinic for infectious and tropical disease, said all the confirmed victims were aged between 52 and 52 and 82 and none had recently travelled to countries with known outbreaks of West Nile Virus - once an exclusively tropical problem which has spread worldwide over the past two decades. It does not always cause obvious symptoms but can be dangerous to people with pre-existing medical conditions. And an elderly Serbian victim of the virus has already died in the current outbreak. The outbreak demonstrates the importance of taking out pre-existing medical travel insurance.